The two main qualities required for a high performance wheel are light weight combined with high strength and O-Z achieve this with the latest Piega wheel by using forged Aluminium which produces both a stronger and up to a 25% lighter wheel than by casting. 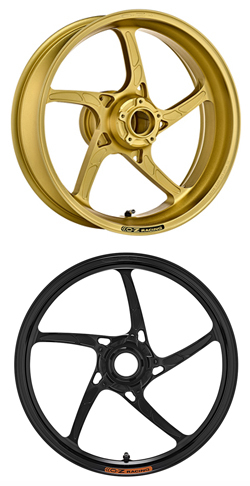 Please note: For some applications these wheels are made to order in Italy, meaning typical delivery ETA is 6 to 8 weeks. This can be longer at the start of the racing season or during holiday periods (such as in August, when Italian manufacturing businesses ordinarily close), so please order well in advance of the time you will require your wheels.